Does CONKERS offer disabled access? The Discovery and Waterside Centres both offer full disabled access - including toilets, restaurants and the shop. Outdoors the train and a good proportion of the trails are wheelchair friendly. There is also designated parking and mobility buggies are available with a driver, (which need to be pre-booked, please call reception on 01283 21373101283 213731). Our access statement is downloadable here. Are dogs allowed at CONKERS? Only assistance dogs are allowed to visit CONKERS. There are toilets on site, including baby changing facilities, at both The Discovery and Waterside Centres. First Aid assistance can be found at the Reception desks in either the Waterside or Discovery Centres - or by directly asking any member of Conkers staff (most full time staff are first aid and defibrillator trained). Lost children are brought to the reception areas and announcements are made. We also have a full ranger team that will search for lost children. If you become a member on the day of your visit you can get back the cost of your admission fee for that day! 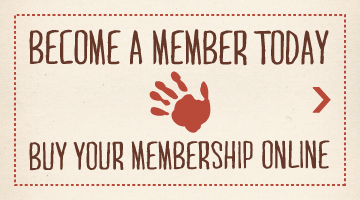 Or join our Members scheme before you go and get in free for a whole year!